This is an exact facsimile reproduction of the large and handsome book known simply as the ‘First Folio’, the earliest collected edition of Shakespeare’s ‘Comedies, Histories, & Tragedies’. It was printed in 1623, seven years after his death. 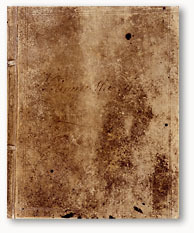 This eBookTreasures edition is taken from an exceptional copy held at the British Library.Eighteen of Shakespeare’s plays had already been published in the small, cheap format known as quartos during his lifetime, including such favourites as A Midsummer Night’s Dream, Hamlet and Romeo and Juliet. The first Folio added another eighteen, including Macbeth, The Tempest and Twelfth Night all of which are indispensable to the modern repertory. Without the First Folio only half of Shakespeare’s dramatic output would have survived.For students of Shakespeare, going back to these earliest printed editions of the plays provides an incredible insight in to the language used at the time of the plays’ performance and is an essential part of a more complete understanding of Shakespeare’s work. The First Folio comprises all 36 of Shakespeare’s plays and runs to 914 pages. This eBookTreasures edition also includes several speeches from the play performed by actors using 17th century pronunciation, allowing you to hear the play as Shakespeare would. As well as the complete First Folio, all 36 individual plays are available from the iBookstore.